Barcelona hold a one-goal advantage from their clash at Old Trafford, yet Manchester United aren’t completely out of this quarter-final tie despite the Blaugrana’s sheer superiority on paper. Ole Gunnar Solskjaer has already masterminded one miraculous comeback in this season’s Champions League, although you suspect that a team as focused as Ernesto Valverde‘s Barcelona will be far less charitable towards the English giants than PSG were. There are five things the Reds must do in order to stand any chance of eliminating Los Cules at the Camp Nou. Too often in the first leg, the match was played in front of Pique and Lenglet. Yes, they were both colossal figures in defence and dealt confidently with every United half-chance, however the hosts will have been disappointed not to have tested the defensive pairing. At the Camp Nou, they must put the duo under physical pressure. Marcus Rashford will not be beaten in a footrace by either centre-back and if United can continuously put Pique and Lenglet in such a situation then they will get opportunities to score. Asking Romelu Lukaku to hold up play in front of Pique is pointless, as you’re playing to the Catalan’s strength. United have to turn their former player around and make him constantly worry about keeping up with Rashford, as that’s where the visitors can get attacking joy. Scott McTominay and Fred were both excellent off the ball in the 1-0 defeat at Old Trafford. They restricted the qualities of both Ivan Rakitic and Arthur Melo with what Jose Mourinho described as “mad dog” pressing. It was one of the few areas where Manchester United had success against Los Cules, with the lack of time on the ball given to Rakitic and Arthur actually preventing Lionel Messi from receiving any service. On Tuesday, the visiting side have to accomplish a similar feat, whilst making the midfield a horrible place for Barcelona‘s stars. They have to be aggressive and press Rakitic and Arthur or Arturo Vidal every single time they have possession. They can leave Sergio Busquets to dictate from a deeper position, but aggressive pressing, strong challenges and generally being a constant nuisance is what will help United stop Barcelona‘s intricate style, even if it will draw criticism from the purists. One of the unfortunate consequences of Pep Guardiola‘s revolutionary spell in charge at Barcelona has been that many people now automatically equate having possession to playing well. Barcelona are one of the few teams that can retain the ball as well as play beautiful football, but Manchester United can’t allow themselves to be intimidated by this on Tuesday evening. In the first leg, you got the sense that Solskjaer‘s charges were caught in two minds over whether or not to respect the fact they were the home side and to try to match the Catalan club. United shouldn’t bother trying to keep possession in unnecessary areas at the Camp Nou, it won’t matter a jot if they win 1-0 and go through on penalties after having 21 percent possession. You simply aren’t going to keep the ball away from the Spanish champions, as they’re too good in possession, and it wouldn’t be wise for United to try. One of the takeaways from the first meeting between the two teams was how Manchester United wasted so much energy pressing Barcelona‘s German goalkeeper. Never has an individual appeared to be in so much strife, yet emerge from the situation with such consummate ease. Ter Stegen was in control of every single situation and, yes, you may get lucky one out of 100 times by chasing him down, but it’s a waste of energy to bet on those odds. Barcelona can’t score from their own penalty box, so United have to be disciplined in their positioning and allow the hosts to keep the ball between Ter Stegen, Pique, Jordi Alba and co. for long periods. The lack of a demanding Old Trafford crowd will probably aid them in this endeavour. Retaining some energy could be vital for when United do get their big chance to score, whilst not being able to move the ball forward could frustrate Barcelona. 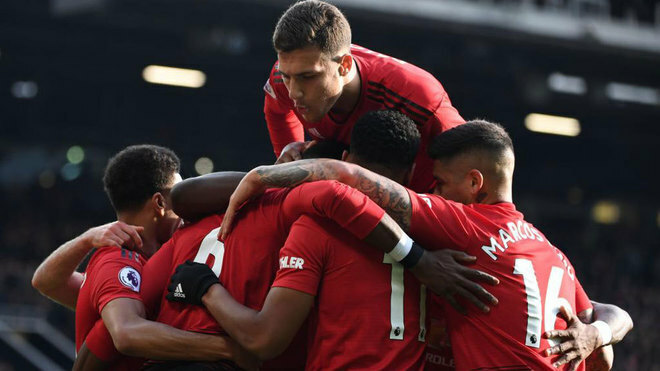 Manchester United have been far more creative since Mourinho‘s departure, and the football has been a staggering improvement in aesthetic terms. You won’t get many chances against Valverde‘s team, as was proven in the first leg. If they’re to have any chance of progressing to a first semi-final since 2011, they need to be as clinical as Chelsea were at the same venue in 2012.